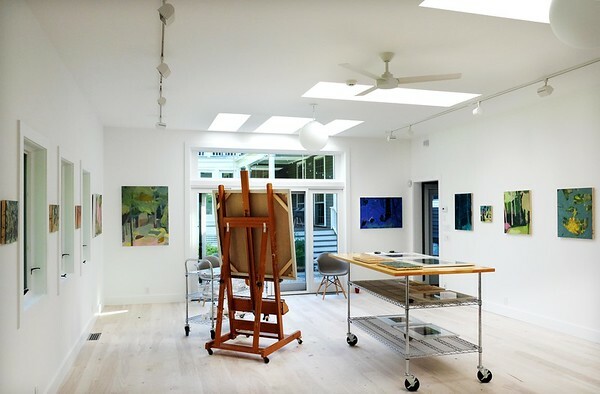 With skylights in the ceiling and a row of north-facing windows, Cynthia Wick's painting studio is filled with light. This summer, Wick will be displaying her recent work in the space while continuing to use it as her painting studio. Lenox, Mass. June 28, 2017.